The word ‘gig’ is often used in the world of music. Musicians typically refer to a show, concert or event with this word. 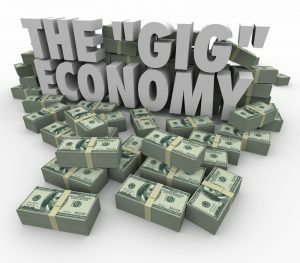 In today’s economy, a gig is a job or task that can be either a one-time event or longer term. In fact, many seniors are turning to gig economy jobs to earn a little extra income as they ease into retirement. The best part about working a ‘gig’ or series of ‘gigs’ is that you get to control how often you work. Plus, the variety of gig economy jobs flooding the marketplace is ever expanding. Figures show that Baby Boomers are jumping on board as the gig economy in the United States shows a jump from 31% of the workforce to 40% since 2005. That can be attributed to the downsizing of corporate operations and the outsourcing of work across the job and age demographic. What probably makes a gig economy job most attractive to seniors is the flexibility. Oh, and the reduction in responsibilities. For example, if you find the right match for your skills you will not require a storefront building to house your office, inventory and staff because you’ll be working on your own either providing a service or as part of a team of independent contractors. The only real downside to switching from a full-time job to a gig lifestyle is a drop in benefits. While the earnings will also be reduced, costs will as well and because you can set your own hours, you can’t put a price on that kind of freedom. So what kinds of positions exist in the gig economy? I know of many people who are doing just fine as freelancers – another way of looking at the gig concept. There are as many kinds of freelance jobs out there as there are skills to match. What makes this such a strong choice is that there are already – as of 2015 – 54-million, or 34% of the American workforce – who have indicated they had done some form of freelance work in the past year. Also, when 53% of them said they were freelancing by choice in 2014, that figure jumped in 2015 to 60% which is clearly pointing to a shift in our focus on employment. The same survey shows that freedom is the top perk and that money is not the driving force, although many freelancers find they earn more in their new gig than they did as an employee stuck in an office. Also, many say they would be open to freelancing ‘on the side’ while employed full-time which means a possible future plan under development. When you look at today’s technology, freelancing is a perfect fit for remote workers, writers, authors, translators and many, many more careers. If you aren’t convinced yet, listen to this. Freelancing allows you to step away from the nine-to-five work day, five or six day work week and move to an employment pattern that follows a project-to-project format. In 2015 Freelancers Union and Upwork conducted a survey and have been able to define the five different types of freelancers in America. See if one of these best describes you and you could be well on your way to a whole new work experience. This is someone who works entirely on freelance jobs, project-to-project without a regular employer or standard job/business to provide income. A total of 36% of the independent workforce fall under this category. We’ve all heard of these people and may have done this a time or two ourselves. A Moonlighter has a full-time regular job but takes on addition work ‘on the side’ for some extra income. The survey showed 26% of the workforce was identified as Moonlighters. We also have either known someone doing this or we’ve done it. This is where you are working more than one part-time job and doing some freelancing as well creating multiple streams of income. A total of 26% of the workforce is already doing this. This would be the workers we’ve seen in our midst that are often referred to as ‘temps’ and provide either fill-in work or short term work for various reasons. They could be an expert in their field and hired on to provide their service until the job is done or someone brought in for sick, holiday or maternity relief. About 9% of the workforce works as temporary workers. About 5% of the current workforce falls into this category. It’s a person who works entirely as a freelancer providing various services to a number of different employers for different periods of time. This is also a person who does this under the guise of a freelance business. Examples can be a freelance online writer, an online virtual assistant, a computer IT guy (or gal) and so on. So what kinds of gig economy jobs fall under any of those categories that may be a fit for your skill set? 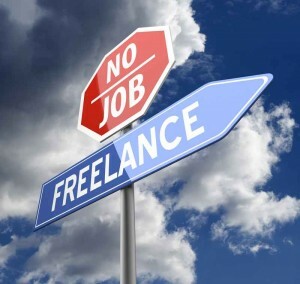 Let’s say you are an entrepreneur and for you freelancing would be a small one person service to keep you busy. You could become a handyman. 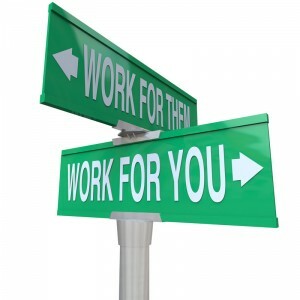 This way you can contract out your services and work only on the jobs you want and whenever you want. That is to say, one project at a time and take time off between them. You could virtually do the same if you started a lawn mowing business. You could just work seasonal or change it up to provide winter snow removal service. The time would be flexible in that depending on the number of clients and the mowing schedule/weather you could get a fair amount of time off between jobs. Possibly starting a personal shopper or courier service would be more to your liking. Again, you could decide how much and how long you would work providing a lot of freedom between ‘gigs’ and you would be providing a valuable service to your customer base. Maybe you’d rather just find freelance work that will allow you to stay home and work just the hours you want. The options are many including writing, transcription, remote computer service, virtual assistance, online survey taker and many more. If any of these suggestions have got you thinking more and more about the possibilities with the gig economy, take a moment to review the categories listed in the left column for additional inspiration and guidance on how to start your new career. Over 55 And No Savings – What Now?